So here’s a story―Trishanku was a mythological king, the ancestor of the Hindu god Ram. 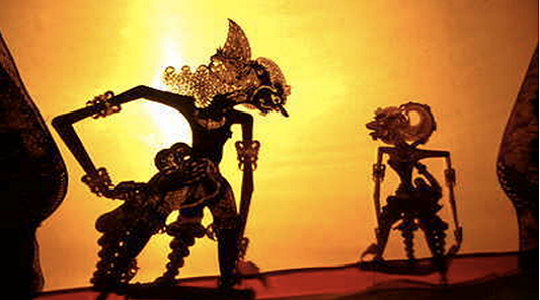 When Trishanku grew old, the gods invited his soul to heaven, but he wanted to rise to paradise in his earthly body. “Impossible,” the gods shuddered. Trishanku went to the sage Vishwamitra for help. Vishwamitra conducted a great yagya for Trishanku, and with the power of his ritual, started levitating Trishanku―body and all―towards heaven. But when the gods barred the gates, Vishwamitra built an entirely new universe between heaven and earth where Trishanku dangles, upside down, for eternity. As a bilingual writer, I often feel like Trishanku. Having grown up in a postcolonial country with the shadow of a foreign language colouring every aspect of my existence, a duplicity cleaves my life. I inhabit two languages―English and Hindi―but I’m never fully comfortable in either. It’s telling perhaps that Trishanku is also the name of a constellation that in English is known as Crux. This confusion of languages I reside in, this no woman’s land of living between tongues defines me. The first stop on our world tour takes us Down Under with Editor-at-Large Beau Lowenstern, who brings us the latest on book awards and the state of the arts industry in Australia. 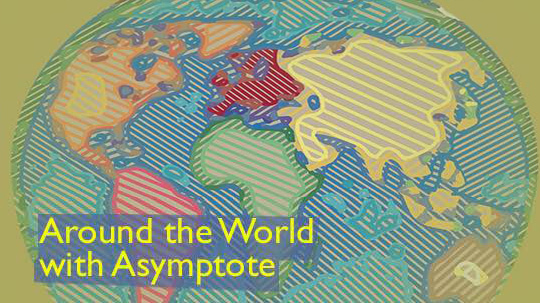 Switching hemispheres, we then join Blog Editor Nina Sparling in the US, where she has the update on must-see, Spanish-language author events and hot new publications. Then we’re off to Nepal where Social Media Manager Sohini Basak reports on everything from the shrinking freedom of the press to poetry slams. Spring in Australia kicked off with the announcement of the winner of the Miles Franklin Literary Award on the opening night of the Melbourne Writers Festival. The award, established in 1954, is Australia’s most prestigious literary honor and celebrates uniquely Australian works. A.S. Patrić won for his debut novel Black Rock White City, which explores the immigrant experience amidst the carnage of war and isolation. The festival offered a full week of incredible events. Maxine Beneba Clarke, known as one of the boldest and most prolific literary voices in Australia today, opened the first night. Her forthcoming memoir, The Hate Race, frames topics like violence and racism in the Australia of her childhood and opens a dialogue much-needed today. The remainder of the festival saw contributions from such names as PJ Harvey, Geoff Dyer, Lionel Shriver, A.C. Grayling, Eimear McBride, and Lev Grossman, with special showcases on identity and feminist writing. Literary festivals like those that take place each year in Melbourne, Sydney, Brisbane, and Adelaide have increasingly become the backbone of the country’s literary community. Australian arts and literature have been the victims of significant budget cuts in recent years, with 2015 seeing a more than 20 percent reduction in funds to one of the nation’s leading arts organizations. Against this backdrop, it’s even more encouraging to see the positive response to such literary events and the vibrant cultural scene continuing to flourish in new ways. This week in North America, as we stagger under the heavy weight of this contentious election season, writers, critics, and literary folks are celebrating Banned Books Week. It seems a fitting moment to focus on the voices of those courageous, innovative writers whose work has been censored, and to meditate on the political and cultural moments that produced their repression. In Washington, D.C., the public library system hid hundreds of copies of banned books in bookstores in a citywide scavenger hunt. The New York Public Library kept it digital with a multiple-choice quiz where readers can guess the reason for a book’s prohibition. "I think that Nepali cinema is at a point now where if people at the top work together, we can really create a proper industry. " 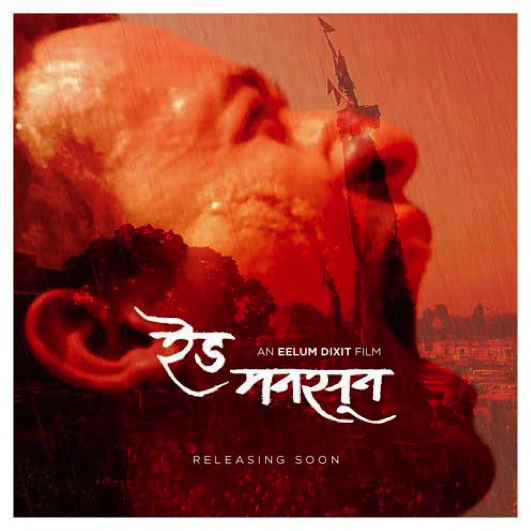 Red Monsoon, a Nepali-language feature film directed by young Nepali filmmaker Eelum Dixit, will open in Kathmandu multiplexes in May. A select crowd of Lalitpur intelligentsia, myself included (I say this with my tongue firmly in cheek!) were invited to preview the film last week in the more intimate atmosphere of the refurbished 1920s-era Yalamaya Kendra complex. South Asian film is perhaps too often synonymous with Bollywood. The overwhelming image is of the colourful, sequined song-and-dance routine, melodrama, three-hour-plus duration, as well as big-budget, cartel-backed production. At a session of the 2013 NCell Nepal Literature Festival, Nepali author Rabi Thapa asked whether small literary magazines still have much of a role to play in the promotion and dissemination of literature, considering they are so difficult to keep afloat. It was, however, somewhat of a rhetorical question, as Thapa himself is the editor of La.Lit, a Kathmandu-based literary magazine launched in January 2013. The word lalit is derived from Sanskrit and used in modern-day Hindi, Nepali, and other languages of the Indian subcontinent to mean finesse, grace, elegance, or beauty. The play on words is clear in English (the ‘Lit’ suggesting literature), but the title has another level of meaning, as Lalitpur, where it is based, is an old kingdom of the Kathmandu Valley that these days is part of the greater Kathmandu urban conglomeration. La.Lit is produced in two forms: on the web and in print, the second volume of which was launched at the Literature Festival. There is some overlap of content in the two formats. Though there were more sessions in Nepali than English ones, internationally known writers still made the trip from India (Shobhaa De, Ravinder Singh, Prajwal Parajuly, Prakash Iyer, Abhay K, and Annie Zaidi), Bangladesh (Farah Ghuznavi), and the UK (Ned Beauman) to discuss their work and the work of their peers. 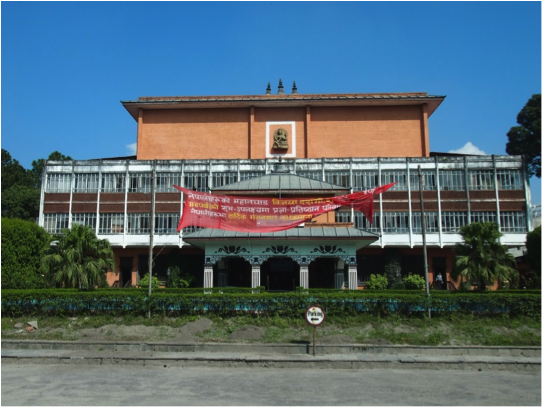 Editor’s Note: Ever wonder what’s happening literature-wise in Kathmandu? Wonder no more, our editors in Nepal are here to fill you in, and it turns out, there’s no lack of corruption and infighting… This is part 1 of a 2-part dispatch. 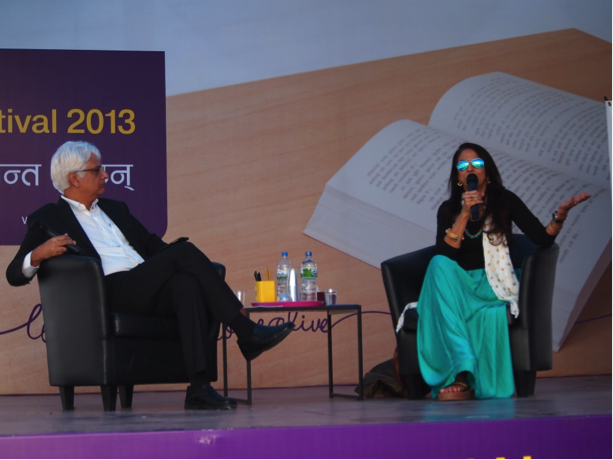 The 2013 NCell Nepal Literature Festival started inauspiciously for us, as they say in this part of the world. Arriving at the Nepal Academy in central Kathmandu ten minutes early on the first day, Ross asked in Nepali where the opening ceremony was being held, and we were ushered upstairs into a packed auditorium, where there was a man already speaking. Strange, I thought, as we were early, and things do not generally start on time in Nepal. We clambered into some seats in the middle of a row. Ross began listening to the speaker. “He’s not talking about literature,” he informs me. “He’s talking about the truth.” It dawns on us that we might not be in the right place, so we hope things will wrap up soon and move on to the event we came for. Ross continues to listen. “Oh no, we’re in a Christian convention!” We clamber back out sheepishly, avoiding eye contact. Some better signage from the organisers of the literature festival would’ve been welcome!